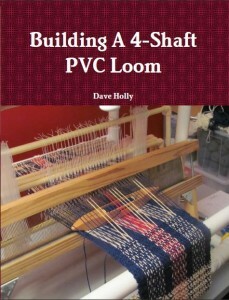 The second project I made on the new and improved PVC Loom was simple. 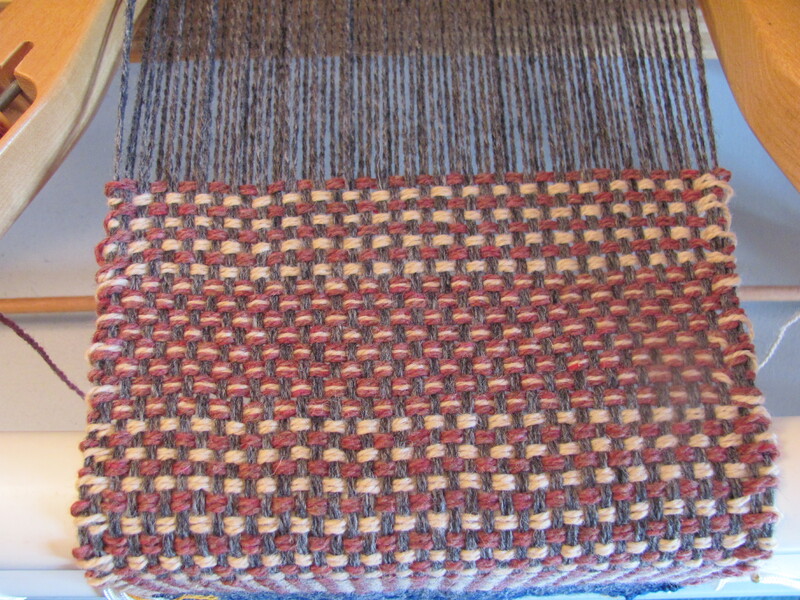 I used a draft called “hopsack”, which is really just plain “tabby” weave. The difference is that more than one pic is put through the shed. This makes it look like a basket weave. The warp is a solid gray. 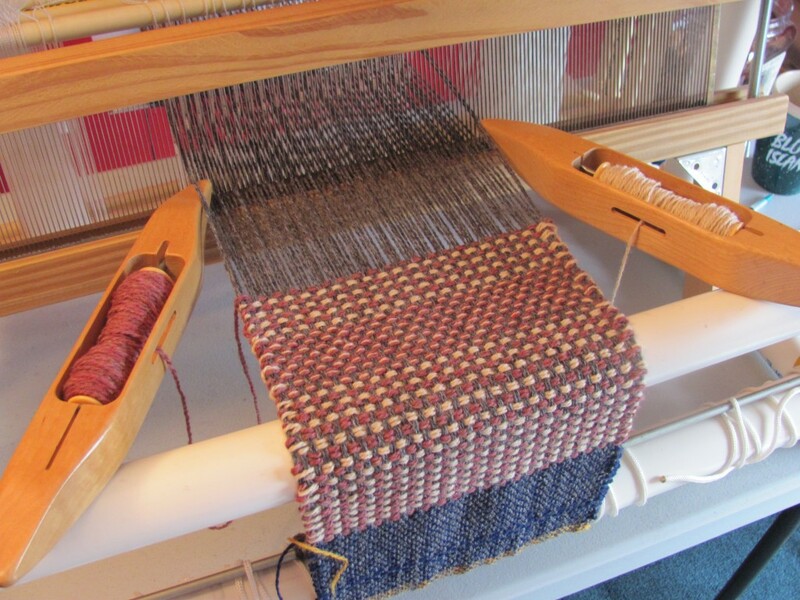 For the weft colors I used 2 shuttles. I alternated between cream and rose for 4 inches. Then, I did 2 inches of 3 pics per shed alternating between cream-rose-cream, and then rose-cream-rose. Here is a closeup. The trick with this type of draft is to use a floating selvage. Otherwise, the weft won’t have anything to grasp as you re-enter the same shed. 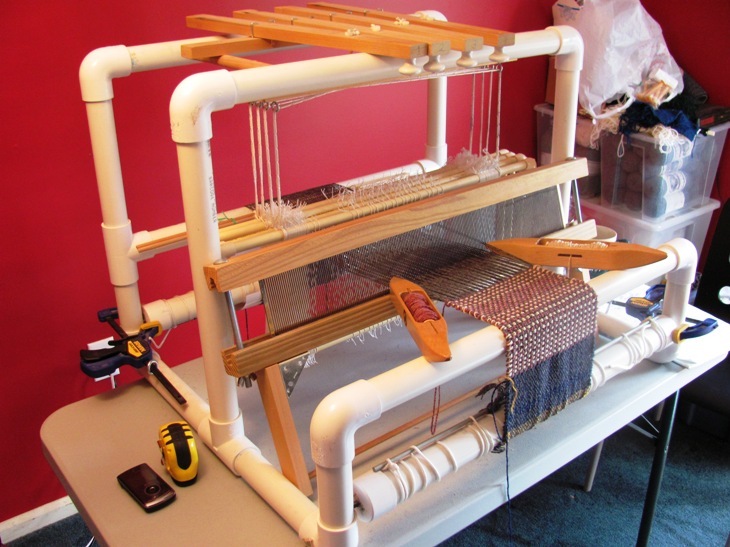 In weaving this pattern, I would throw the first pic, close the shed and beat with the reed, and then open the same shed to throw the second pic. Each time I would catch the floating selvage on the way in and out of the shed.